Sawmill Gift Cards can be used to pay for Food, Beverage and Merchandise (Including our Sawmill Sesame Steak Sauce or BBQ Steak Packages). Sawmill Gift Cards can be purchased in any denomination from any Sawmill Prime Rib & Steak House location. Alternatively, complete the order form below and fax to our administration office at (780) 463-3183. Our Administration Office will process your order for pick-up or mail. Our administration office is located on the second floor at 4810 Calgary Trail South, Edmonton AB. Earn Sawmill Loyalty Points for every dollar spent on Gift Cards. 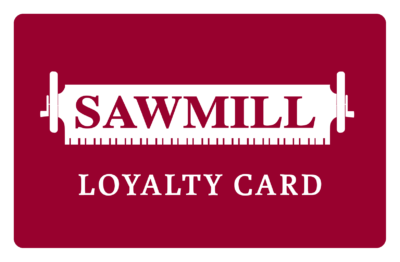 Learn more about the Sawmill Loyalty Program. 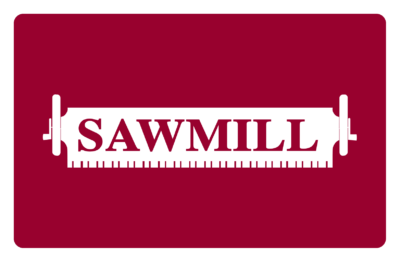 This is a great way to customize your Sawmill gift card with YOUR company logo and contact information as a thank-you for doing business or for a referral. 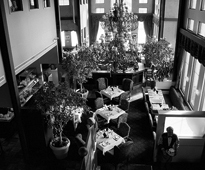 Alternatively, upload a photo of your wedding or newborn as a thank-you for coming or helping/hosting the event. Don’t have time to come to one of our locations in person or live out of town or province? Click the envelope to send your Sawmill gift to a college, friend or loved one. Find Us In Retail Stores!